The firm prides itself on its business development structure, that takes individuals from their infancy in the sales industry to a level where they are fully equipped to take on the challenges of business leadership. In a recent growth push, Legends Incorporated has been discussing the key traits it looks for in potential sales representatives. The most important characteristic the firm looks for is the “student mentality.” By this, Legends Incorporated means the ability for an individual to realise that they cannot succeed on their own and need to listen and learn to evolve in the professional environment. The firm prides itself on its business development structure, that takes individuals from their infancy in the sales industry to a level where they are fully equipped to take on the challenges of business leadership. 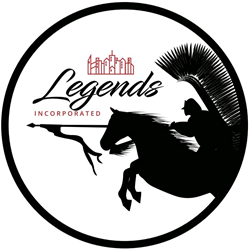 During this process, Legends Incorporated spends a considerable amount of time offering contractors opportunities to learn from workshops and seminars with industry leaders on what it takes to make it. Most importantly, individuals must be able to listen intently. This requires contractors being able to concentrate on what their superiors are saying and taking it in. Those who are easily distracted will not make it in the sales industry as they cannot consume the knowledge being passed down to them. The student teacher model is hugely essential to Legends Incorporated, and an understanding of regime is critical for this model to work. Often recruits come in and choose to not take the advice of others due to an issue with authority. The firm believes there is a time for discussion and a time for contractors to absorb the knowledge their mentors have learnt throughout their time in the industry. In a sense, the two aspects of the student mentality are intricately linked. Kamil Nosal, the managing director, believes that once an individual respects the authority of their sales mentor they are more likely to listen to their words of wisdom and hopes his management set good examples both in the field and during workshops, so recruits listen and attempt to emulate their mentors.